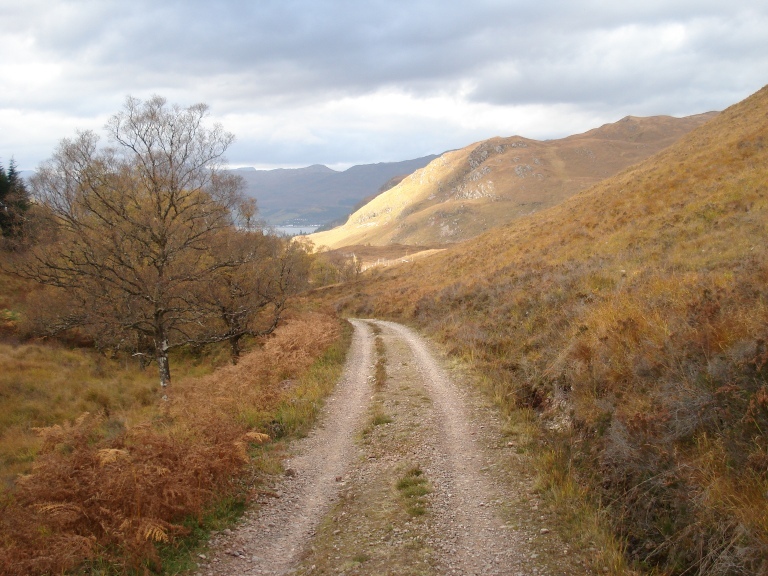 In October 2007 I had one of my best weeks in the hills, culminating in a fantastic four day backpack through the Attadale estate. 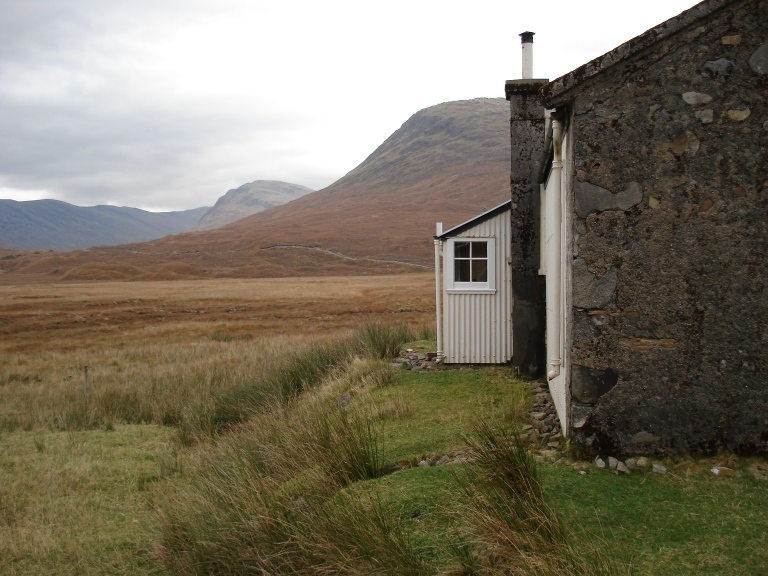 I did think about naming this post 6 bothies in 7 days as the aim of that trip was to spend the night in as many bothies as possible within a week. It would have been 7 bothies in 7 days but by the end of the trip I really fancied a bath so a night was spent in a hotel instead! A conversation about bothies had really sparked an interest with one of my managers at work. Hannah was in the process of reorganising her life at that time. Whilst many people spend a hippy youth before settling down and getting a good job and house, Hannah went about things a different way. She did the house and good job thing first before realising that it’s all is a little bit pointless. She soon sold up and went to volunteer at the Centre for alternative technology after this trip and is now living in a commune somewhere in Scotland. 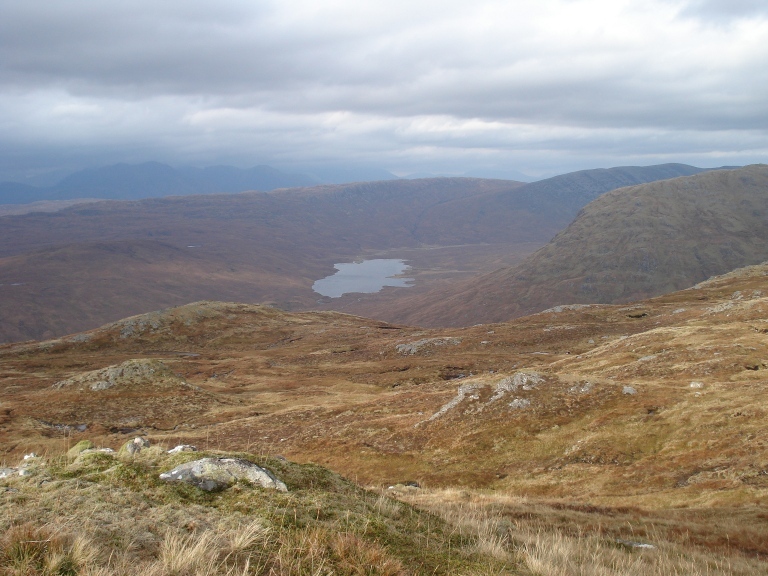 The idea of buildings situated in wild mountain land that anyone could use appealed to her and she decided to accompany me for a week in the wilds of the North West Highlands. She brought along her partner Charlie, a raw food vegan who spent the day before on radio Nottingham telling listeners how he was going to live off the land, foraging for his food whilst bothying in Scotland. Before we even started I could tell it would be an interesting week! The idea was to make the long journey north part of the experience, something to be savoured in itself. I therefore thought that it would be good for Hannah and Charlie to experience their first bothy at Burleywhag, my favourite in southern Scotland. It became apparent that Charlie had been telling porkie pies on the radio as his food rations consisted of vast amounts of chocolate, noodles and a massive pan of homemade curry which was to help feed the driver. Thankfully I was not going to go hungry by eating pine needles that night! Now Burleywhag is located right in the middle of nowhere in an area that is mostly bypassed by hillwalkers, we got fairly lost on the network of minor roads leading to the access track. Leaving the car at the farm it is a three mile walk up a very pleasant and scenic track to the bothy. You pass some ruined farms about a mile before Burleywhag which I gave great pleasure in pretending would be our accommodation for the night! Burleywahg itself is located at the head of the Capel Burn, underneath the rounded dome of Queensbury, noticeable as one of the first high hills of the Southern Uplands when driving north on the M74. There is one simply furnished room with a small snug with a sleeping platform. We had carried up coal and logs so got a fire going to make the place more cosy. An evening round the fire was spend devouring the massive curry that Charlie had brought up with him. During the night I experienced something that may put me off staying a night at Burleywhag alone. I awoke to strange sounds coming from the unused room next door. It sounded like someone had a bucket of grain and was swishing it round and round. It reminded me of my childhood when we had a pony, we would swish the feed round in the bottom of a bucket to tempt her into the stables. I have heard mice in bothies before and it was definitely not that. I did what any brave adult would do, I pulled my sleeping bag over my eyes to make it go away. Recounting the tale to Charlie and Hannah in the morning, Charlie told me that an old woman had come and chatted with him during the night. This initially made the hairs on my neck stand up until I later found out he had been eating some of the local mushrooms that grow alongside the track! 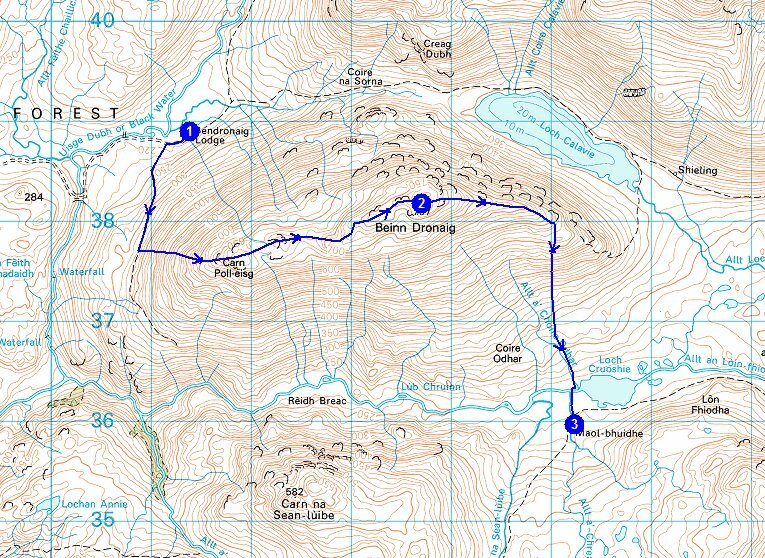 The walk back to the car was followed by a long drive to Glen Carron where we would attempt to park up and find Coire Fionnaraich bothy in the dark. Actually finding the starting point in the dark was difficult enough along the remote single track road. As we parked up another car drew alongside and a silent competition took place with its occupants as to who could kit up and set off first. There seemed to be some sort of unspoken rivalry as to who could get to the bothy first and bag a space! This rag bag trio was probably a bit of a sorry sight as we made our way up the 2 miles of often boggy path to the bothy. I was lucky enough to have a headtorch, the other two had those eco dynamo torches that are charged by squeezing. They were rubbish to be honest! We were relieved to see the bothy appearing out of the darkness and we soon set about unpacking and lighting a fire with the fuel we had hauled up with us. When morning came we could see what a spectacular location we had spent the night in. A place to return to and savour. Back at the car the following morning we drove to a layby opposite Achnashellach train station and sorted out our gear. The plan was to catch one of the few trains that pass by on this line. I would get off at the halt at Attadale whilst the other two would continue onto the Isle of Skye where they would head to the bothy at Camasunary. The short journey was a joy with a very friendly ticket inspector apologising profusely about the train being so packed. There must have been all of 30 people in our carriage showing that the definition of busy is relative! I stepped off the train at the tiny halt at Attadale full of excitement and a little bit of trepidation. I was heading solo into a very remote mountain area with some potentially difficult river crossings ahead. I had planned some fairly short days so that I could spend time soaking up the mountain splendour without thinking I needed to keep moving. For me it is the pleasure of being there rather than the amount of miles I get under my belt. However I am an ardent peak bagger so I did aim to tick off a few remote ones whilst there. The day started off easily enough following a track to the north of the River Attadale before starting the gradual climb into the mountains. It was the last week in October and everything was a delightful russet colour, a million shades of brown and yellow! Climbing to the top of the pass I sat on a rock for a while listening to the roaring and bellowing of stags, a beautiful but rather eerie sound. As I sat there I watched one of the beasts make quick progress across rough ground, his antlers held high and proud. 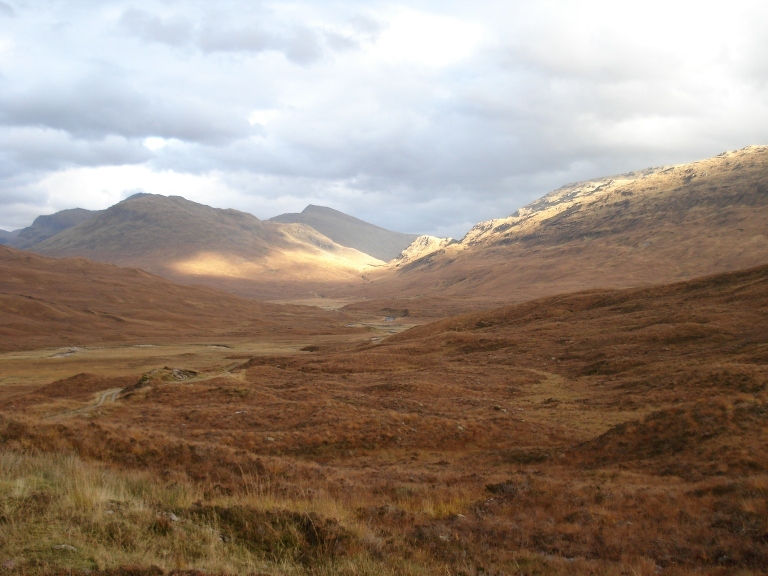 Once over the pass I felt like I was leaving the real world behind, entering a land of high mountains, rivers and bog. The only concession to the modern world being a landrover track snaking off into the distance. 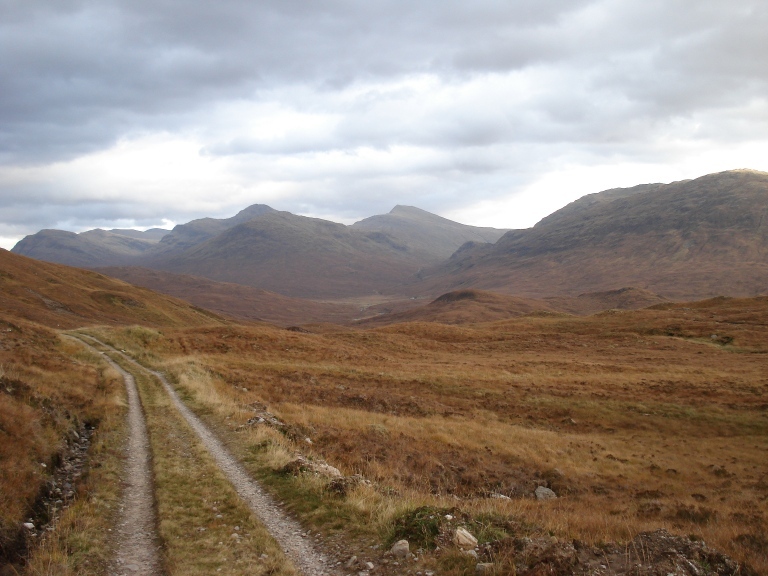 It was a simple march along the track ever deeper into the hinterland towards Bendronaig lodge where I had read about an estate bothy. As it did not belong to the MBA I was not sure if it really existed or indeed would be locked. 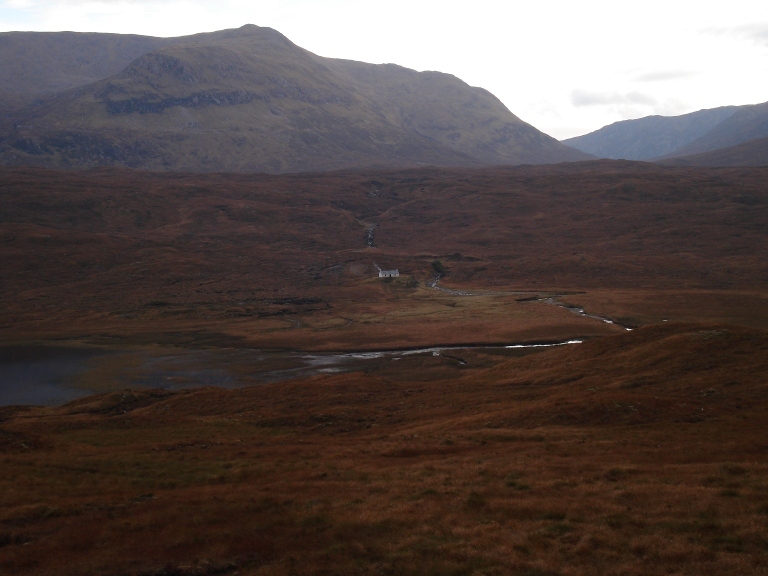 I felt the usual excitement I get when approaching a remote bothy as the two buildings came into view, looking for the tell-tale wisps of smoke indicating other visitors. 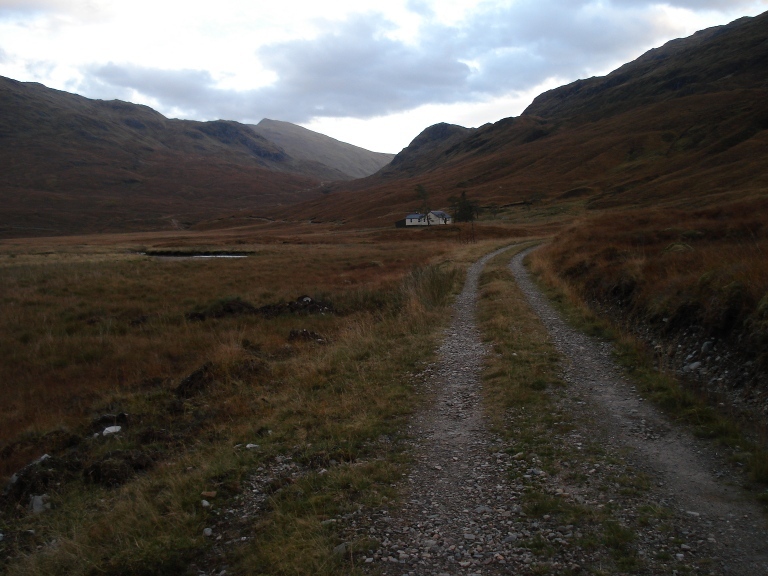 The second building was the bothy itself and I readied myself for the disappointment of a locked door. Thankfully the door opened and I stepped inside to a bothy palace. The place was more akin to a holiday cottage with all its furniture removed. There was a main room with a huge woodburner with three bedrooms all with their own fireplaces. There was a kitchen with a sink and a proper toilet which is flushed by water from the stream. I was pleased to have walked into such a palace! 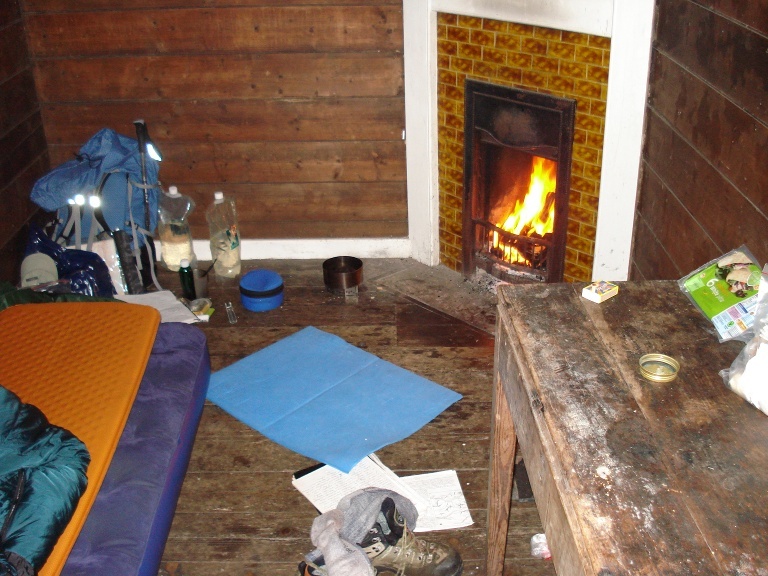 I settled into one of the small rooms which had the addition of a fully inflated air bed and set about lighting a fire. The estate had supplied a giant bag of coal and there was a pile of chopped logs. I was really grateful for the pure altruism of this particular estate. My room was so cosy and the fire so hot I spent the evening sitting on my bed in just my underpants, reading a book. For me that night was pure heaven, solitude and remoteness alongside decadent comfort! I was in no hurry to get up early as I had a very easy day planned, a short five miles over the hill to Maol-bhuidhe bothy. I spent most of the morning wandering around the bothy, before sweeping up and packing my rucksack. Although my destination was only five miles away there was a fairly large hill in the way, the shapely peak of Beinn Dronaig. I took the path marked on the map up to the 300 metre contour before heading directly up the steep slopes. The view down the River Ling was breathtaking, with miles of empty country before it reaches civilisation. 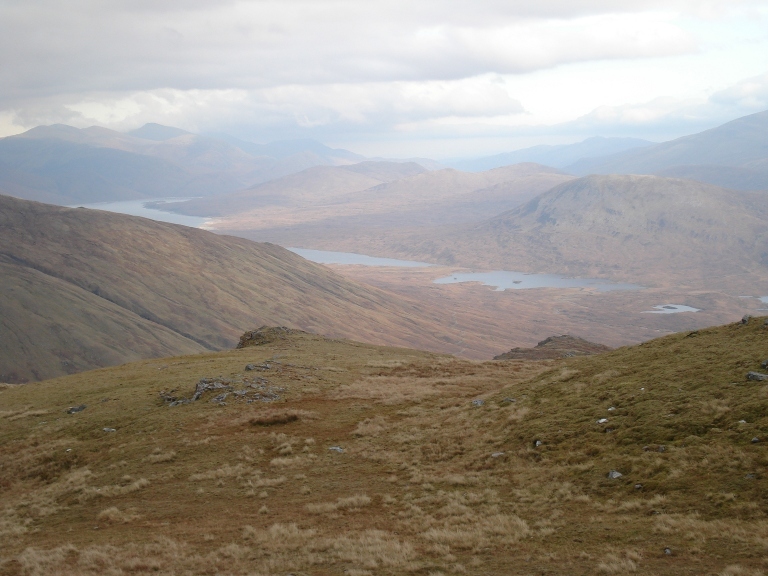 The climb to the summit revealed mountains, moor and lochs in all directions as well as the usual startled stag running off into the distance. 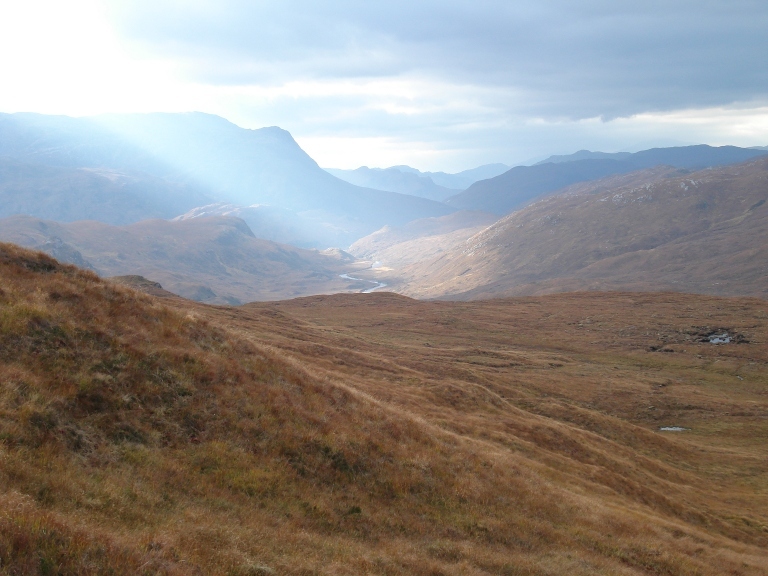 Descending the eastern slopes before turning south towards Loch Cruoshie, the bothy finally came into view. I have to say that I was a little disappointed to see smoke rising from the chimney and a couple of tents pitched outside. 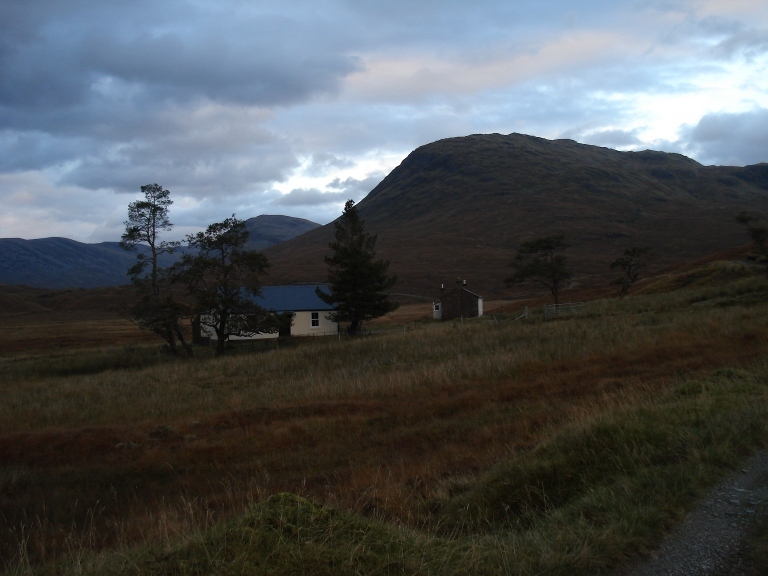 There I was approaching one of the most remote bothies in the middle of the week at the fag-end of October and it was occupied. At least there was a fire going and the hope of some decent company. Over the previous weeks whilst planning this trip I had been nervous about the crossing of the upper River Ling, which often has the reputation of being uncrossable. Even the map shows it as being a wide body of water. In fact I was so preoccupied with the river that I did not notice that I had stumbled into a peaty bog until it was too late. From the knees down I was covered in thick, black, stinking ooze. The river itself was a doddle as the water was so low, I hopped from rock to rock without getting my now filthy boots wet. 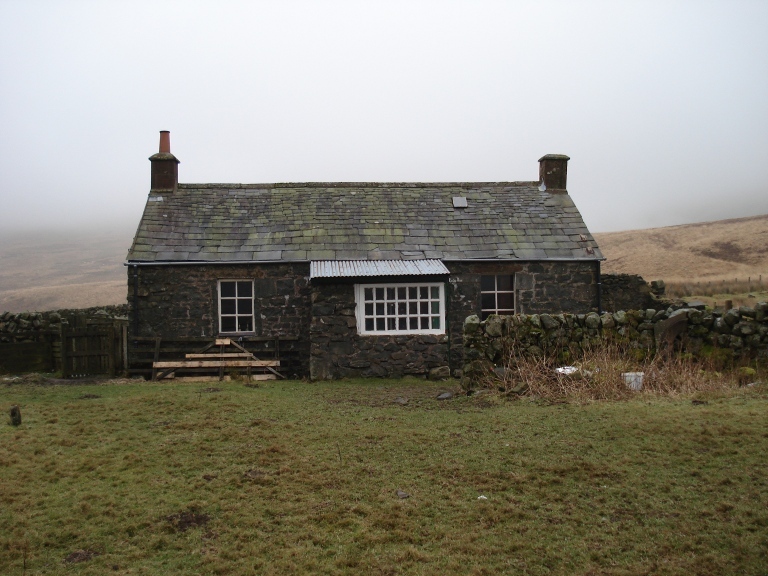 The bothy was occupied by Mike Pratt, an unofficial maintainance officer and bothy vagrant. 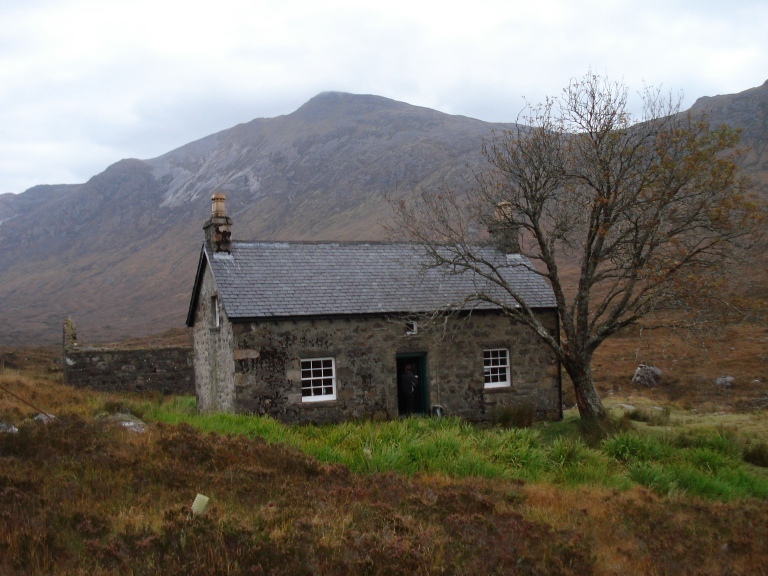 He was going to spend ten days there doing some work on the bothy, keeping it in great order. 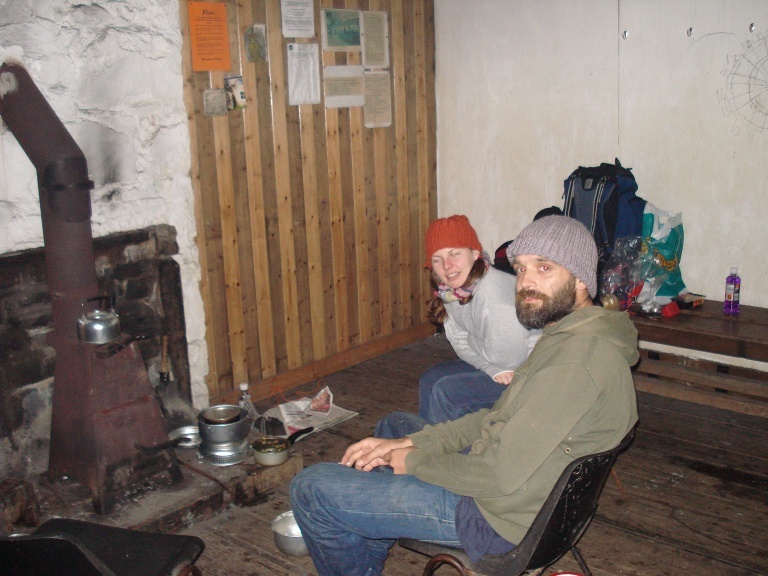 The two tent dwellers were from London and only ventured into the bothy for a short period of time later on. Mike kept me entertained for the evening in front of the fire with his tales of bothy life. I asked him how many nights he spent in bothies each year. He was only able to count the few nights he had actually spent at home! I hope that when I reach Mikes age I am fit and healthy enough to lead that sort of outdoors lifestyle. When I went off to bed in the small room that I had bagged I found out that a mouse had chewed a hole in my brand new rucksack. You may have gathered from my ramblings over the last month that I had a simply superb time on the Isle of Eigg. This week I found a gem of a video summing up the music and scenery from the festival in two minutes. Fantastic. 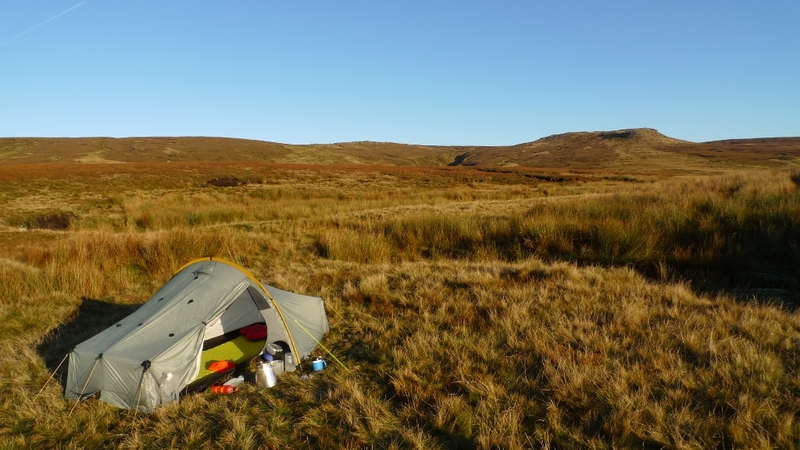 I really have been neglecting over the last year what many regard as the staple of an outdoors blog, probably the main reason why people read outdoor bloggers waffle. That be the Gear post. Reason number one is that to be honest I sometimes can not really be arsed and often don’t have the time between doing the outdoorsy thing and going to work. Reason number two is that I don’t want to end up being a free advert* to all things made out of lovely technical fabrics. However something that has really put me off is the general worshiping of most things being reviewed by bloggers, is everything produced and purchased really that good? Why are people not a little bit more critical? It may be a personality thing as I often expect everything that I buy to be perfect but often end up feeling a little underwhelmed when I have got said gear home. My partner is often rolling her eyes when I appear showing her a loose thread that has taken me an hour to find! During the last year or so I have made a few purchases and used that equipment fairly extensively on the hills. Overall I have been pretty impressed but find that even the best pieces of gear that I own have at least a small fault / room for improvement. 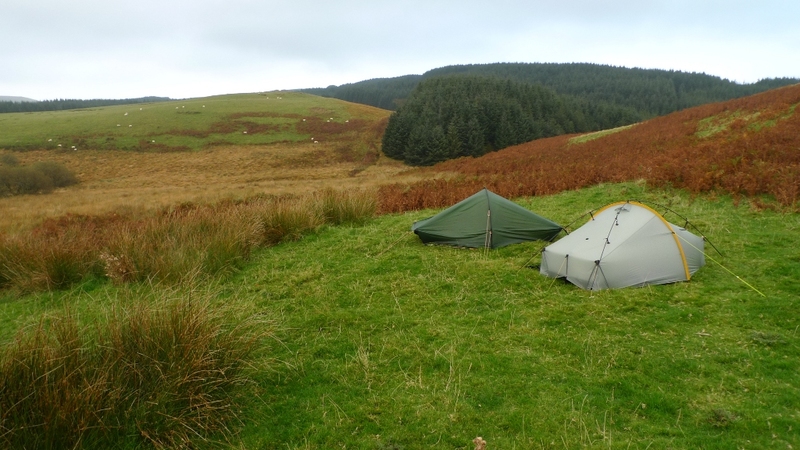 As the nights get shorter and my enthusiasm for wild camping is dampened a little I will make up for lack of hill time by doing a few reviews. I even got carried away and got my partner to take photos of me doing some modelling in the garden recently. See I am taking this seriously! 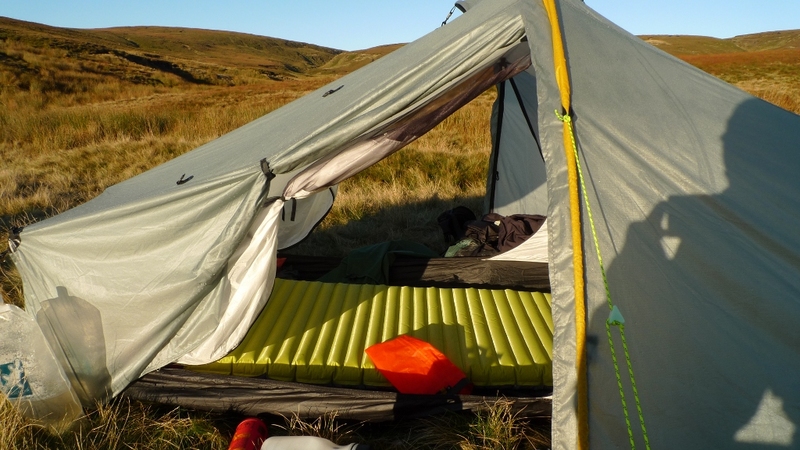 The first in my sights will be the Scarp1 made by the often hero worshipped Tarptent. Now that it has been on a hill I have a few things to say about it, some good, some bad. That should be done for tomorrow. *If any gear manufacturers would like to use me as free advert, please get in touch. However if your gear is shite I will say so!